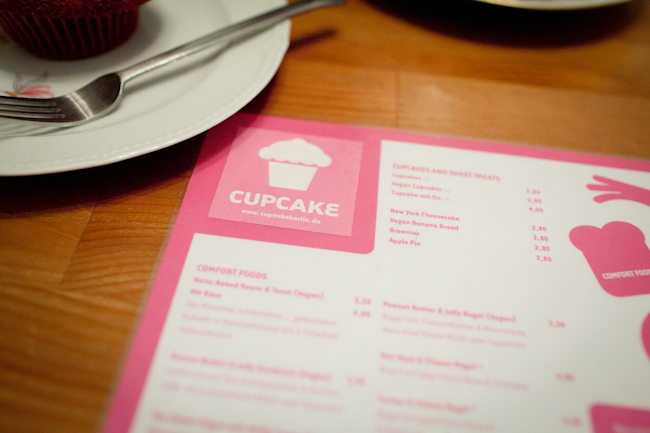 Cupcake Berlin – what’s not to love? 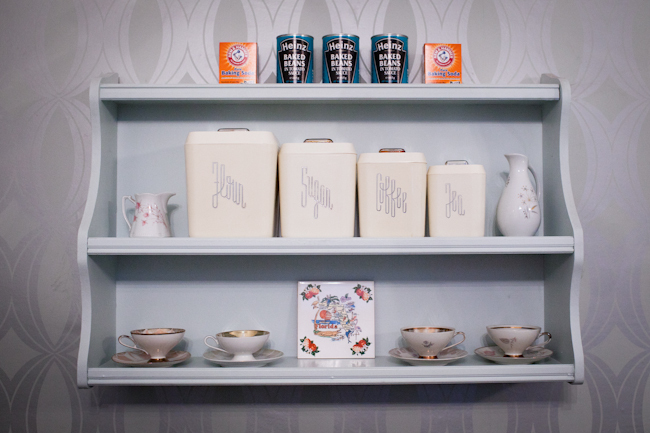 The city’s first cupcake shop whisks together beautiful baked goods, cutesy vector graphics, twee interior design and typisch Berliner punk edge (sadly not pictured: Black Flag-inspired tote bags). 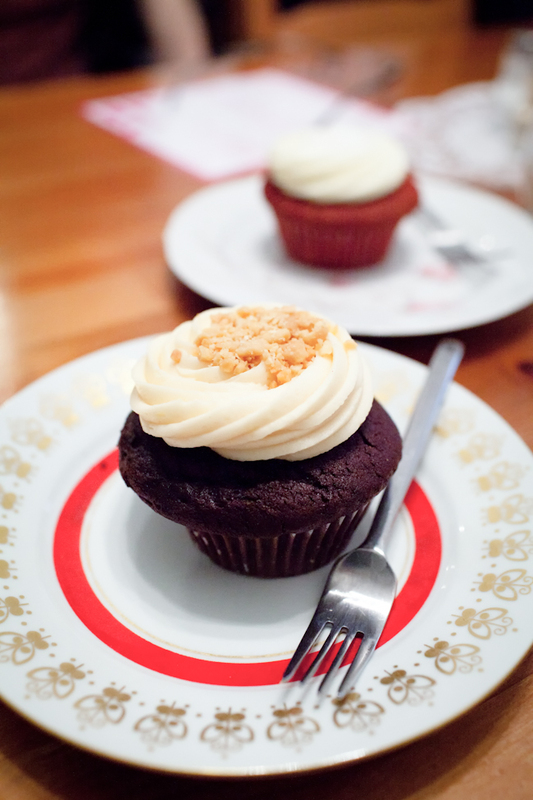 That brown badboy you can see is The King, a banana chip and peanut butter topped chocolate homage to Elvis – delicious. Zo went with the red velvet which, while not as good as Nicole New Black’s homemade babies, was still pretty pretty good. Great coffee too – although next time I’m leaving room for a Dr Pepper ice cream float. See you in five kilos! We loved the place when we visited, so we’ll definitely be coming back for more. Awesome! Shoot me an email and i’ll be sure to set you guys up with some free cakes & coffee!! Take care! Free coffee and cake FOR LIFE? Sweet! 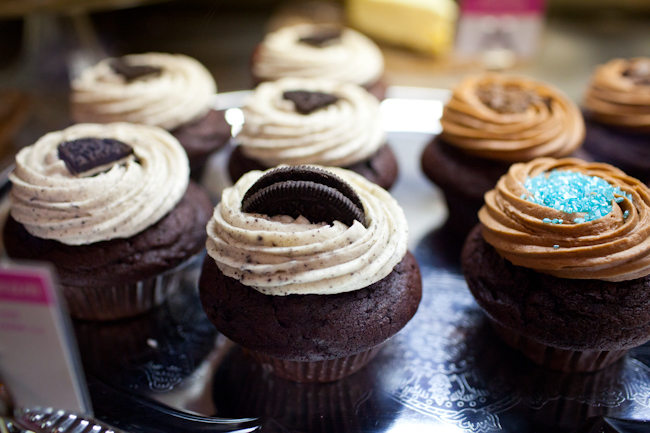 first cupcake shop? hardly. they’ve been opening and closing for years now. prenzlberg had a slew of them a couple of years ago. don’t get all the fuss about cupcakes. nothing beats a good pie. Interessant – I think they’ve been open for 4 years, but no idea if their claim of being the first is true.